Jump Festa, the annual Japanese expo party of all things anime and manga, will be opening its doors to all attendees this year on December 17. Despite being a mostly Shueisha manga expo, several video game developers and publishers (most tied to anime properties) like to show off their goods here and there. Among them, Square Enix, who have made a habit of showcasing the latest builds of their latest Kingdom Hearts games. 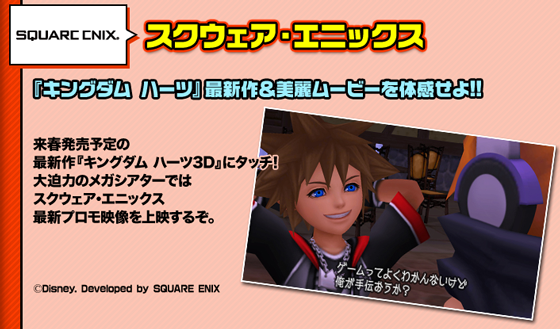 This year is no different, as KH3D is set to appear both in trailer form and video form. Come December 17, be sure to check back to KHU for all the latest news, images, and videos.